If you receive an error message when trying to display your tweets then you can use the table below to diagnose the issue and find the relevant solution. The easiest way to verify this is by going back to the Settings page for the Custom Twitter Feed and clicking the big blue button on the “Configure” tab to get new access tokens. If you haven’t set up your own Twitter App, the only way to use the plugin is to click the big blue button to get an access token and access token secret that is compatible with the default credentials provided by Smash Balloon. Navigate to the type of feed you are trying to display on twitter.com. For example, if you are displaying a feed from the account smashballoon, go to https://twitter.com/smashballoon. Make sure there are tweets visible. Then click on the link “Tweets & replies”. If there are a more recent replies than original tweets, there may be too many tweets being filtered out to display any. Replies are removed by default. You can raise the number of tweets to retrieve initially by going to the Custom Twitter Feed Settings page, “Customize” tab, and navigating to the “Advanced” area. Then raise the “Tweet Multiplier” and test to see if your feed now displays tweets. 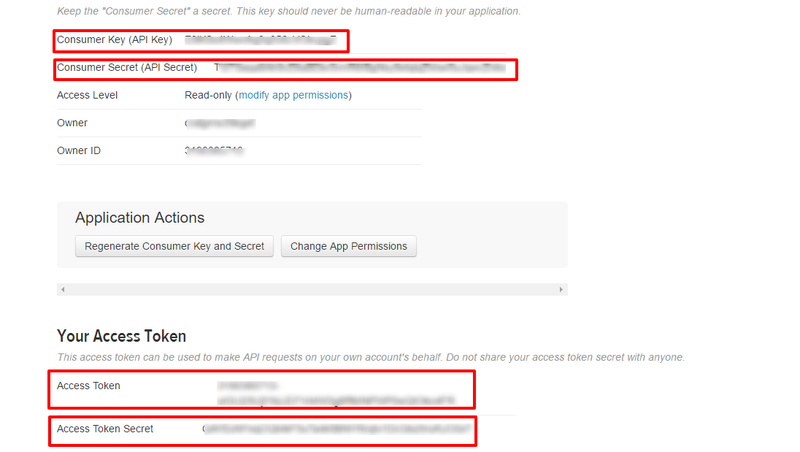 #4 – Your host is blocking access to the Twitter API. I am trying to use the Twitter API for a feed on my website. Do you have CURL updated to the latest version and will you allow remote requests to https://api.twitter.com (the Twitter API) on my server?.